Unlike many others, I prefer my guacamole without tomatoes because I feel it can make it to thin/watery sometimes. Slide open your avocados, take out the pit and put the flesh in a medium size bowl. Chop half the onion or the small shallot and the garlic in very fine pieces. Add the onion and garlic together with a pinch of salt and black peper, a pinch of ground cumin, a tablespoon of chopped koriander leaves, and the juice of half a lime. Taste to see if you need more of anything: Salt? Lime? or a bit more heat? That's it! And so easy. Let me know when you try it! 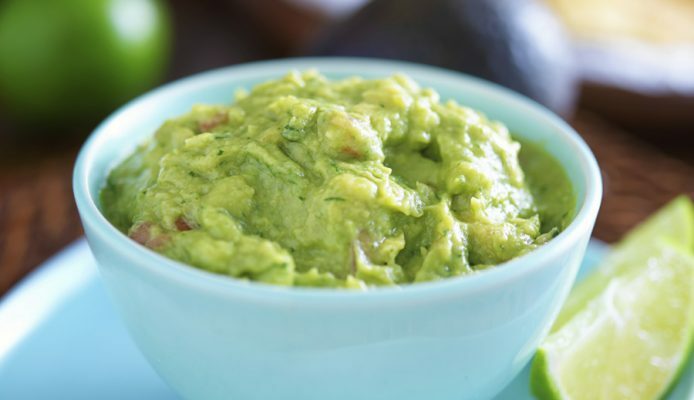 What is your guacamole recipe?